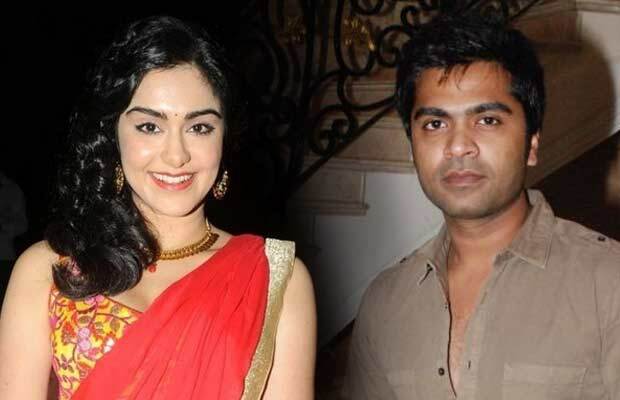 Home REGIONAL Adah Sharma Is Simbu’s Ex! Adah Sharma Is Simbu’s Ex! [tps_footer]Actress Adah Sharma whose Bollywood debut ‘1920’ had a sad box office reception was last seen in ‘Hasee toh Phasee’ with Parineeti Chopra and Sidharth Malhotra. After that she disappeared from the Bollywood circuit but turns out that she was shining in the industry down South! Adah is basking in the success of Telugu suspense drama Kshanam at the moment. Newest reports confirm that the actress has been roped in for an important role in Simbu‘s upcoming Tamil romantic-drama ‘Idhu Namma Aalu’. Adah will be seen as Simbu‘s ex lover in the film and both of them will shake a leg for a special song called ‘Maaman Waiting’. Apparently, it was her song ‘Shake it like Shammi‘ from ‘Hasee Toh Phasee’ that impressed the makers who eventually signed her for this role. Well, she did look ravishingly retro in a gorgeous sari in the song and we loved her. That’s why it comes as no surprise that it earned her a whole movie! The track is said to be the title song of the film, which is directed by Pandiraj. Reportedly, Adah has already arrived in the city to shoot for her portion. Also starring Nayantara, Andrea Jeremiah and Soori, the film is gearing up for release in April this year. The movie also marks the debut of music composer Kuralarasan, younger brother of Simbu.